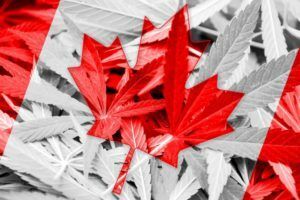 An exchange in Canada dominated by marijuana stocks has asked listed companies with U.S. operations to publicly detail any risks they face after Attorney General Jeff Sessions’ decision to scrap protections for state-legal cannabis businesses. Richard Carleton, chief executive officer of the Canadian Securities Exchange, told Marijuana Business Daily that the exchange contacted all CSE-listed companies with U.S. exposure, advising them to provide a public comment on the impact the Sessions’ decision could have on their businesses. Fifty-six of the CSE’s 343 listed securities are in the medical marijuana business, and 17 of those have operations in the United States. Companies listed on the CSE are free to participate in the American marijuana industry provided they meet risk disclosure requirements, because cannabis remains illegal at a federal level in the United States. In an emailed statement Friday, the Canadian Securities Administrators said it had no update to a Staff Notice issued in October that outlined specific disclosure expectations for marijuana companies that have, or are in the process of developing, marijuana-related activities in the United States. The October notice also stated that the umbrella organization for Canada’s securities regulators could “re-examine” the measure in the event of a change to the U.S. federal government’s enforcement approach.